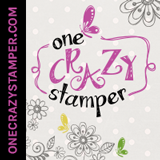 Lora's Crazystamper Blog: Winter is in the air!! Winter is in the air!! I know it's sad to say but winter is in the air. It has been very cold in Ontario these last few days....burrr! Today I have another Penny Black image for you this one is Winter Fairy. Hope you enjoy today's post & I love to read all your comments.